There is a new president in Venezuela. Time for Maduro to go. 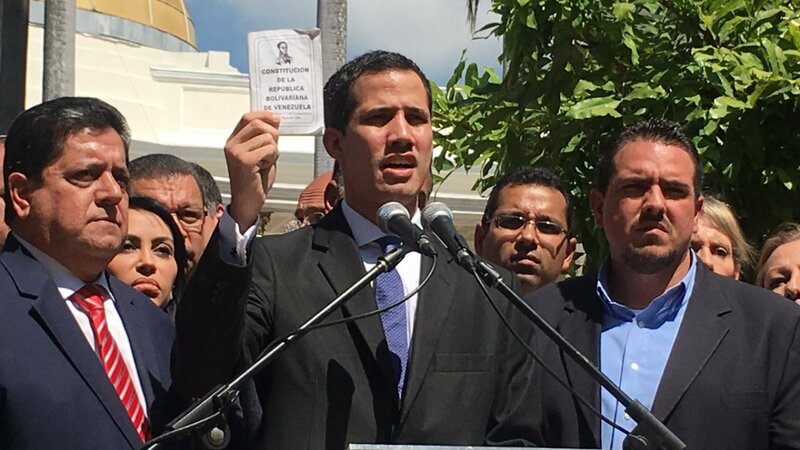 Opposition leader Juan Guaido swore himself in as Venezuela's rightful president today. He promised to lead a transition to a new government through free and fair elections. The Venezuelan people, the Venezuelan opposition, and the international community are uniting in support of the restoration of democracy in Venezuela. Citizens of Venezuela today mobilized across their country and in their diaspora in a call for freedom. Argentina, Brazil, Canada, Chile, Colombia, Costa Rica, Ecuador, France, Guatemala, Honduras, Paraguay, Panama and Peru responded by recognizing the new president. The list grows longer by the hour. The Organization of American States (OAS) has also recognized President Juan Guaido and Secretary General Almagro has issued a formal statement. The Special Council of the OAS will hold a special meeting tomorrow at 11:00am to consider recent developments in Venezuela. Venezuelan human rights organization Foro Penal reports more than 70 arrested in Caracas protests. 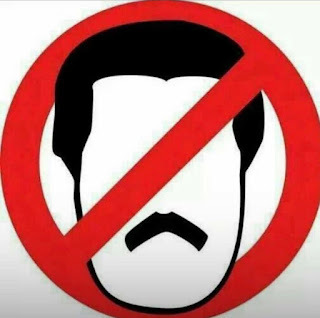 Nicolas Maduro is an “usurper” who on May 20, 2018 stole an election and committed a massive fraud calling himself the president of Venezuela. The Venezuelan opposition boycotted the election and it understood that it only served to further consolidate the Maduro dictatorship. Worse yet to hang to power the usurper has committed crimes against humanity in Venezuela. He has invited a foreign power to interfere in Venezuela's internal affairs. Thousands of Cuban military advisers and intelligence officials assisted the Maduro regime further consolidate power to entrench the dictatorship in Venezuela. The OAS Secretary General described it as "being like an occupation army." The Castro regime's personnel have been training the military, security services and pro-regime militias in tactics and strategies to terrorize and repress the citizenry in Venezuela. 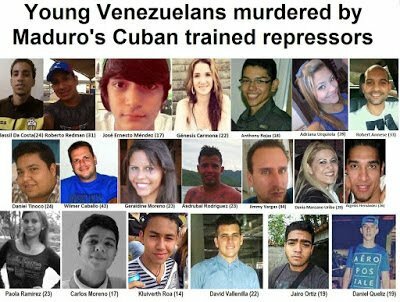 Many young Venezuelans have paid the ultimate price for standing up for freedom in their homeland. In 2019, 13 Venezuelans have been killed in protests, deaths registered by the Venezuelan human rights group PROVEA. 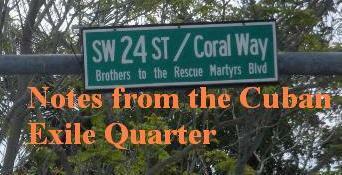 In all 13 cases they were participating in nonviolent protests when they were attacked by either by the police and/or paramilitary groups. Tonight they continue to be murdered by Maduro's security forces across Venezuela. The national guard are firing on buildings. Maduro's repressive forces are firing at homes and demonstrators tonight in Venezuela. The count of wounded and dead will climb through the night as this usurper desperately hangs on to power through the use of force and terror. The countries supporting the Maduro regime in the Western Hemisphere are the usual suspects: Bolivia, Cuba, El Salvador, and Nicaragua. These are regimes ruled by Left Wing despots ( Cuba, Nicaragua), former communist guerillas (El Salvador), and a country on its way to becoming a despotism (Bolivia). However there is one country that is supporting Maduro that is cause for great concern and that is Mexico. Andres Manuel Lopez Obrador, an admirer of Fidel Castro and Hugo Chavez, is the new president of Mexico. He claims to be a democrat, who respects democratic norms, but this was the same line used by Hugo Chavez during the 1998 presidential election in Venezuela. Supporting Maduro is a worrying signal for democrats in the region. Outside of the Americas, the support for Maduro is being registered by the world's authoritarians: Russia, China, Syria, Iran, and Turkey. Tell me who you associate and I will tell you who you are. Maduro is a dictator backed by other dictatorships. Tonight at 9:25pm the President of Venezuela tweeted "I have no words to express the pain I feel as I continue to learn that Venezuelans have been killed during the protests in the last few hours. To their families, I can only guarantee that Justice and Peace will reign in our homeland.". There have been calls for dialogue with Maduro. This is a mistake. Now is the time for nonviolent mobilization and for Venezuelans to free themselves of this dictator. Gene Sharp, the strategic nonviolence expert, understood this when he explained: "Dictator's will not negotiate themselves out of power." Let no one fool themselves, Venezuela is a militarized narco-dictatorship that will not be negotiated out of power. However, Gene Sharp also understood that nonviolent resistance used strategically can force him out of power.